Over the past 20 years, Isabel Jirasek and Simon Dixon have worked with us to transform their ACT property ‘Bundidgerry’, into a diverse and productive farm. It is with a sense of pride that we can see how our land management has had a positive effect on livestock, remnant bush, water ways and general pastures. We feel privileged to be able to care for such a place, particularly in the knowledge that our children will understand the importance of taking care of their environment. In 1998, Isabel Jirasek and Simon Dixon purchased their first rural property, an 80 hectare block between Canberra and Yass in NSW. Soon after they bought the neighbouring farm doubling the size of ‘Bundidgerry’. The landholders sought to protect and enhance the remaining native bush and creek areas of their new farm, while also improving productivity. With little experience or training in land management however they needed support to achieve their vision. Over the past 20 years, Isabel and Simon have worked with us to transform their property into a diverse and productive farm. Their journey provides many valuable lessons for other landholders across the region. When Isabel and Simon moved onto Bundidgerry it had remaining pockets of native bush, wetlands, dams and creeks with abundant wildlife including red neck wallabies, swamp wallabies, eastern grey kangaroos, antechinus, dunnarts and echidnas. But like many properties in the region that have been poorly managed in the past, the land was plagued by blackberries, bare patches from overgrazing, salinity, a large rabbit population, and poor water quality due to erosion and unstable creek banks. Isabel and Simon immediately began assessing what needed to be done, creating a farm plan. They began work to control the blackberries and rabbits and planted tube stock to stabilise the creeks and saline areas. 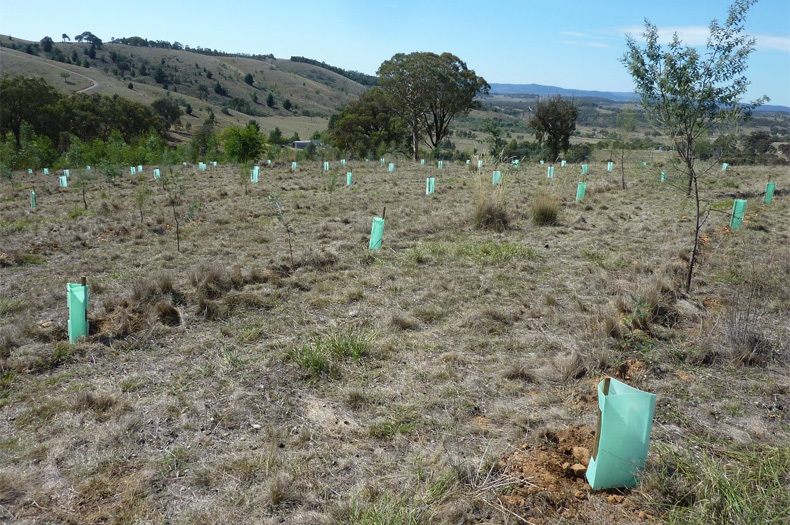 In 2000, funding from Greening Australia enabled them to fence part of the creek to limit damage by their grazing cattle, provide alternative water sources and protect areas of native bush. 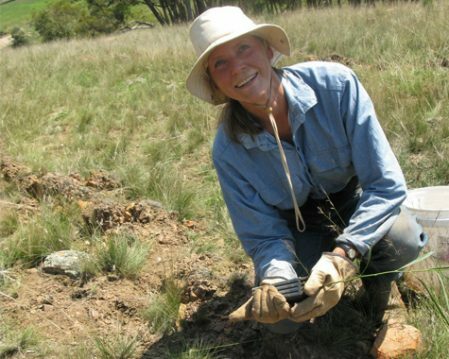 In 2009, Isabel volunteered to establish a seed production area, to supply valuable seed for Greening Australia’s restoration projects. 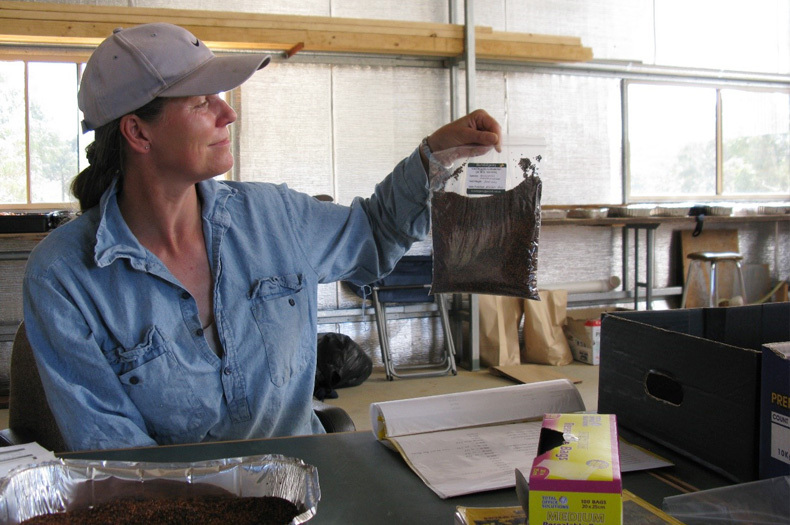 They planted 1,400 plants, and learned how to identify, harvest and clean the seed. 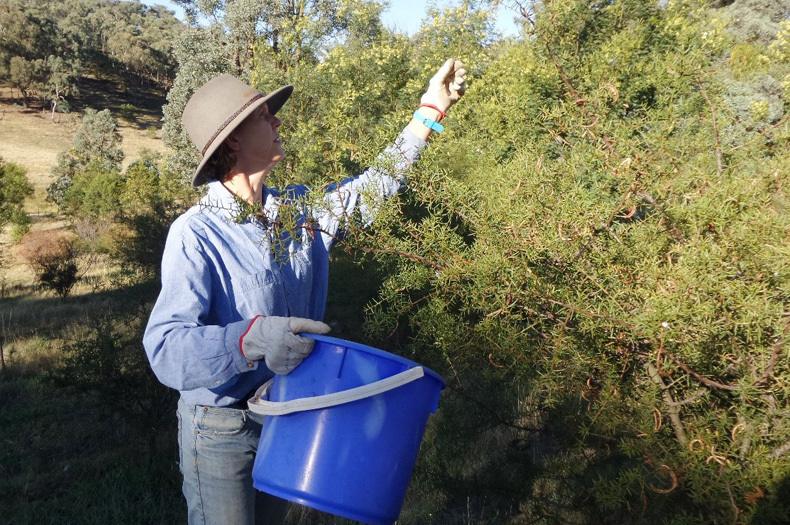 Bundidgerry has since provided over 151 kilograms of seed from 22 species to Greening Australia including eucalypts, shrubs, grasses and forbs. Since 1998, Isabel and Simon have planted 3,000 trees and shrubs, protected 40 hectares of habitat, laid two kilometres of water pipe and completed six kilometres of fencing Resulting in significant benefits for productivity and biodiversity. In 2011, Simon and Isabel purchased a further 80 hectares of land containing a diverse range of intact plant communities that are difficult to find in the region. Several community field days have been held on the new site and Isabel has been able to collect seed off several new rare plants. In 2017, Greening Australia and the landholders planted 400 drooping she-oak and other trees and wattles on their farm to create habitat for Glossy Black Cockatoos. This year, a further 500 trees and shrubs will be planted as part of the Australian Government’s 20 Million Trees Programme. In 2017 Isabel was nominated for a NSW individual Landcarer of the year award in acknowledgement for her passion and hard work. Greening Australia project manager Jeni De Landre says she feels privileged to be part of Isabel and Simon’s vision for Bundidgerry.